• Center distance between bolts: 2-3/8"
Electrical lock with aluminum housing and stainless steel mechanism. The lock functions as a “buzz in - buzz out” device and connects to any 12 Volt control system. If the lock is under power, the handles are blocked and a red LED confirms blocked handles. 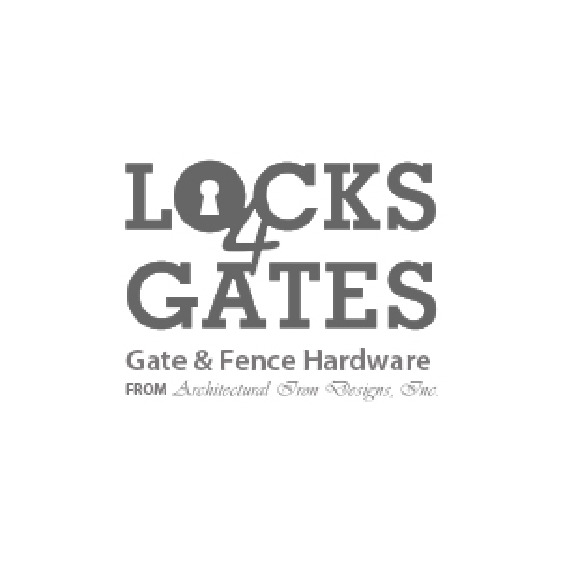 The dead bolt is used to override the control system and secure the gate. Ships standard with the round knob handle set. The latch gap required is keeper dependent, but the standard and security keepers require a 1-1/4" latch gap.